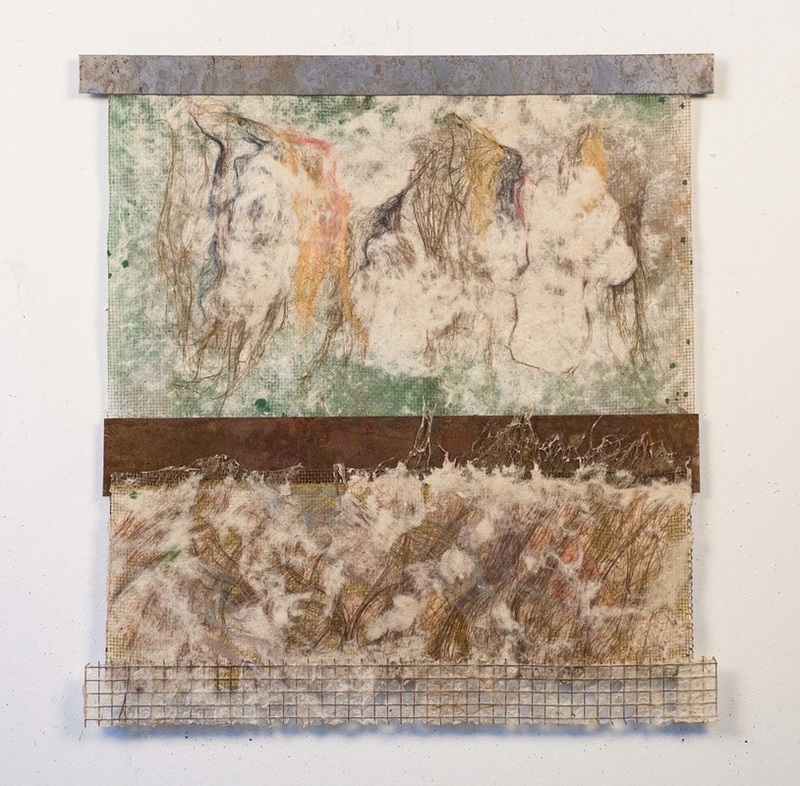 Contrasts I 23"w x 25"h Contrasts III 26"w x 17"h Contrasts II 24"w x 30"
Rusted sheet steel, hardware cloth, bronze screening, flax and silk fibers, electronic wire, sprayed and dipped paper pulp. 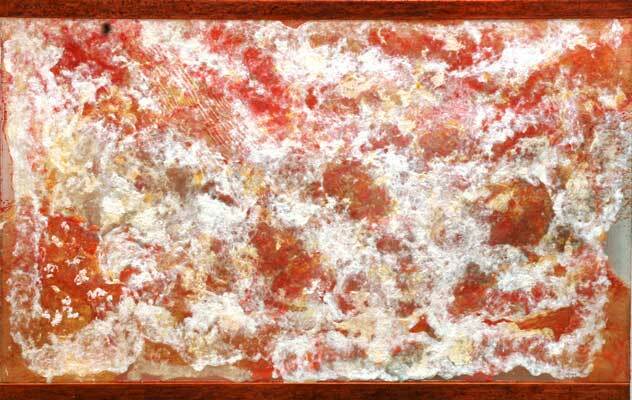 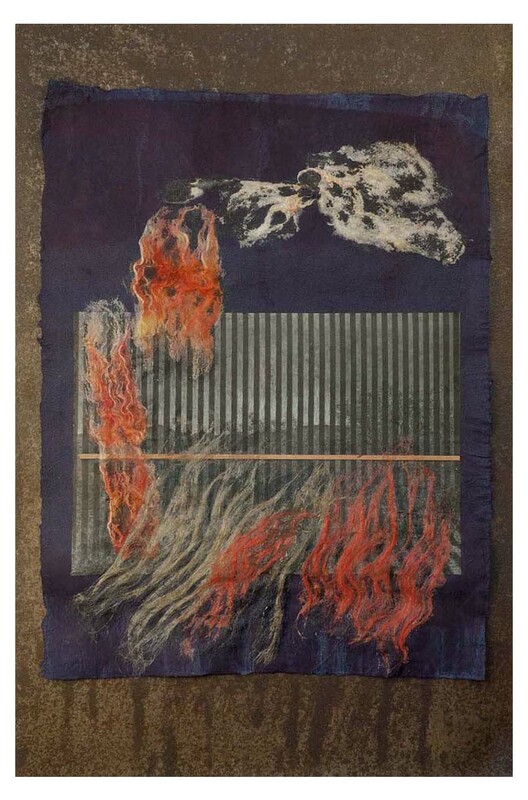 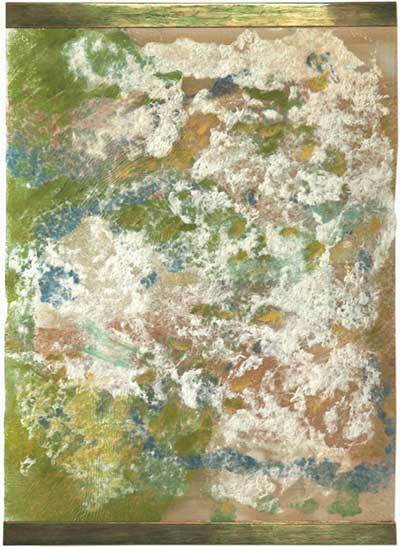 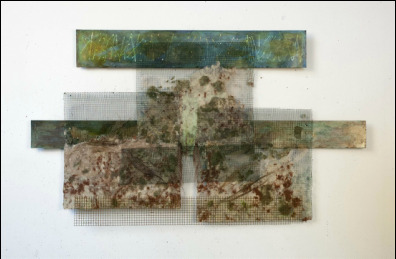 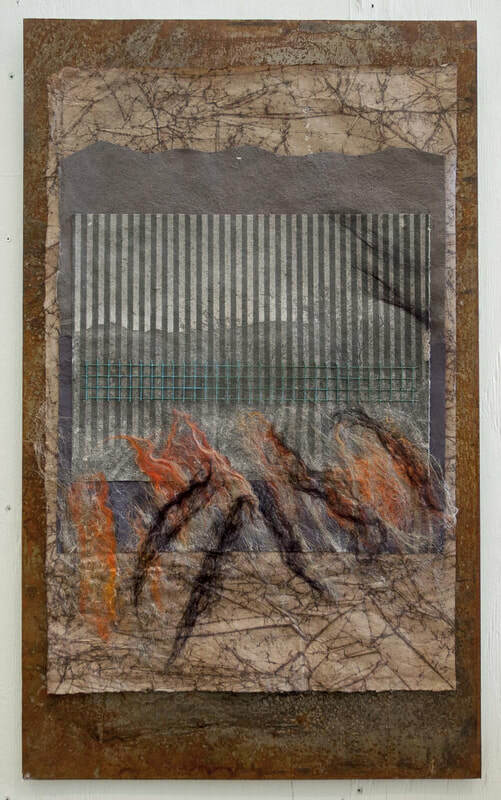 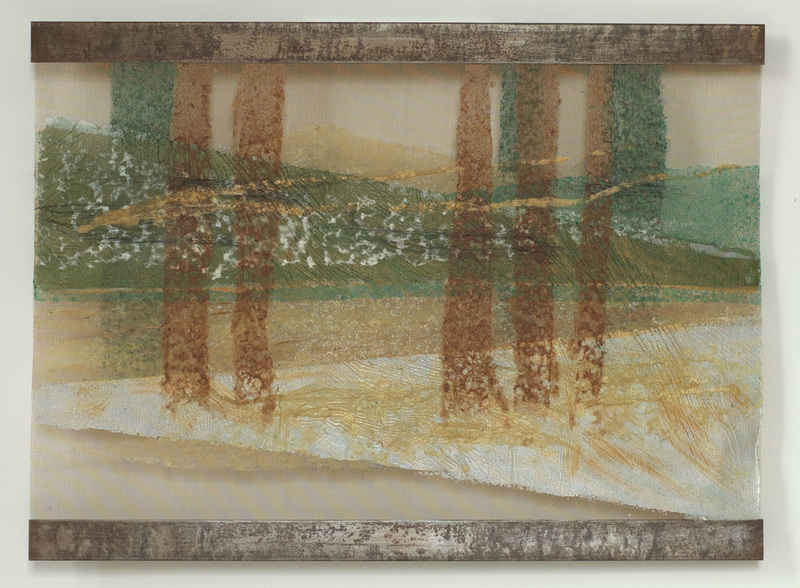 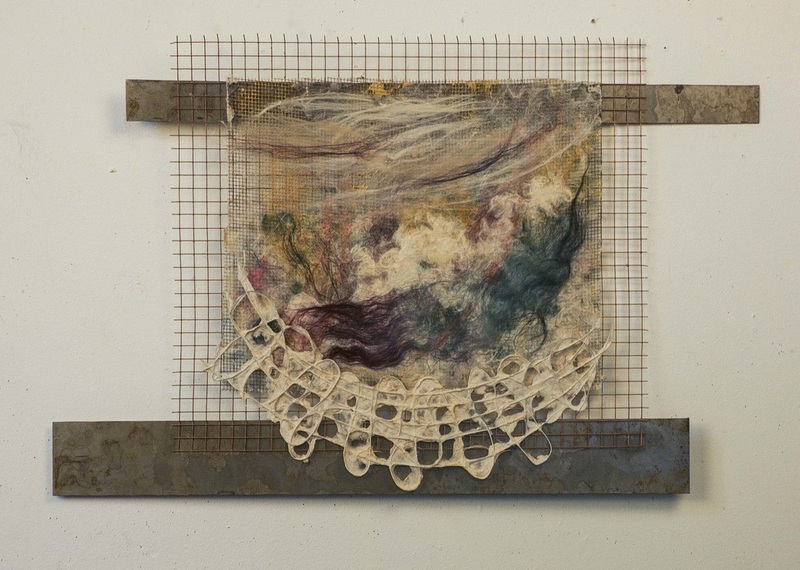 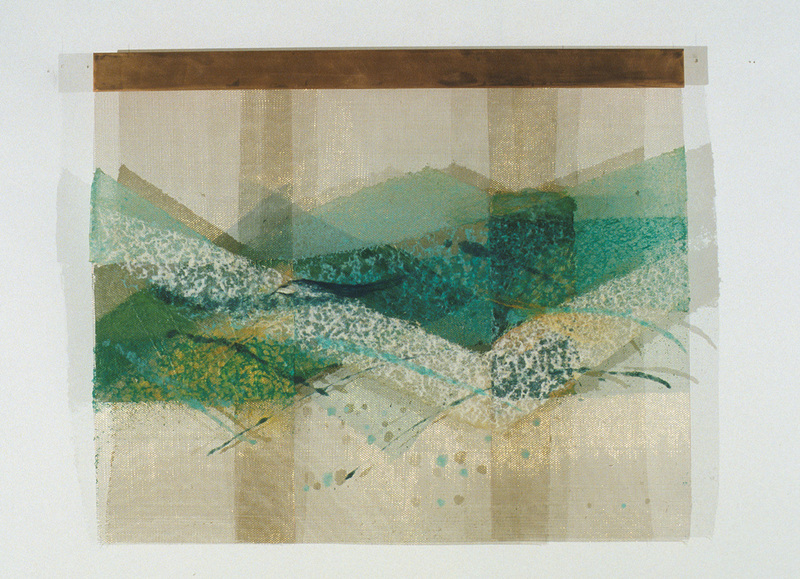 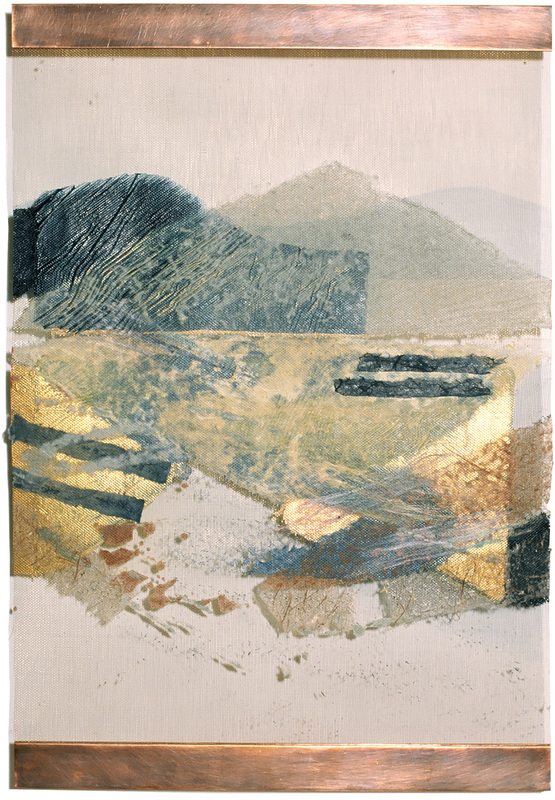 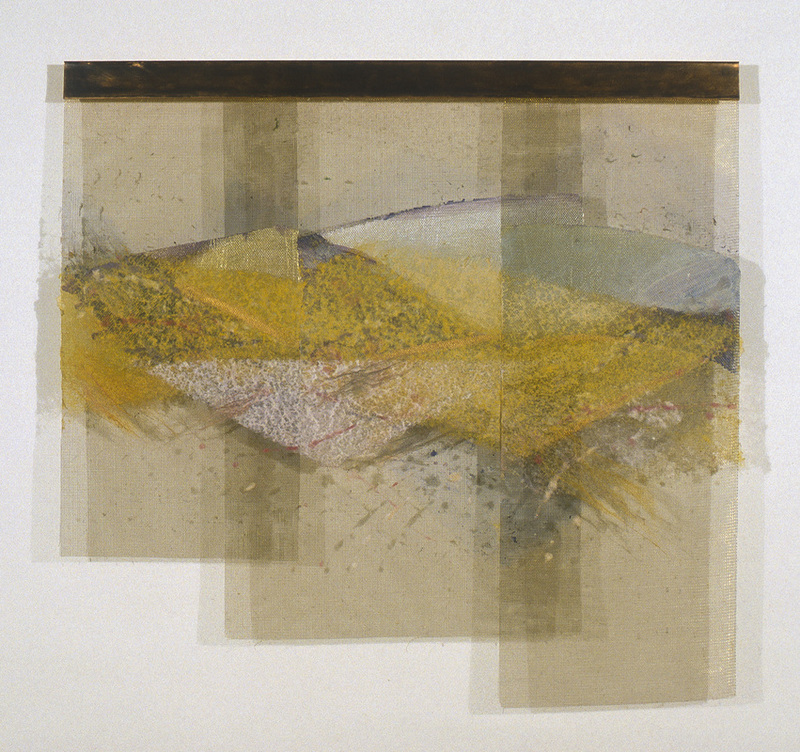 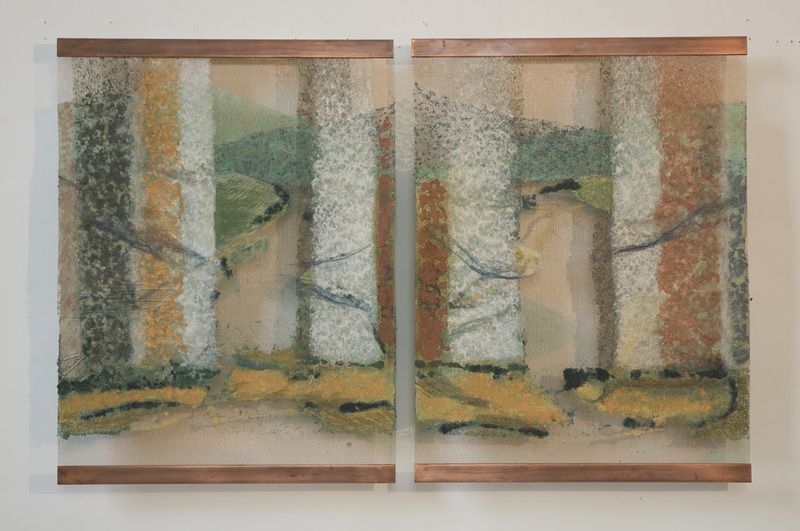 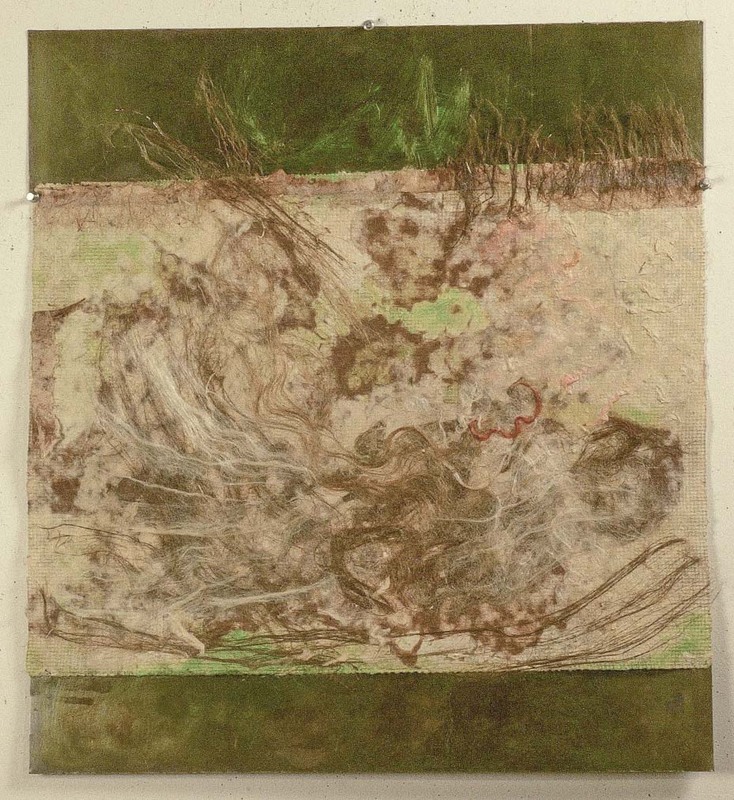 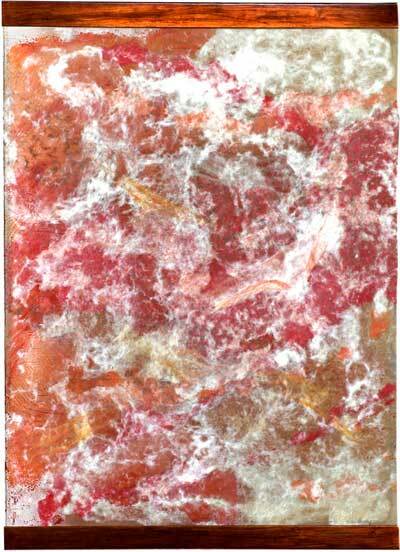 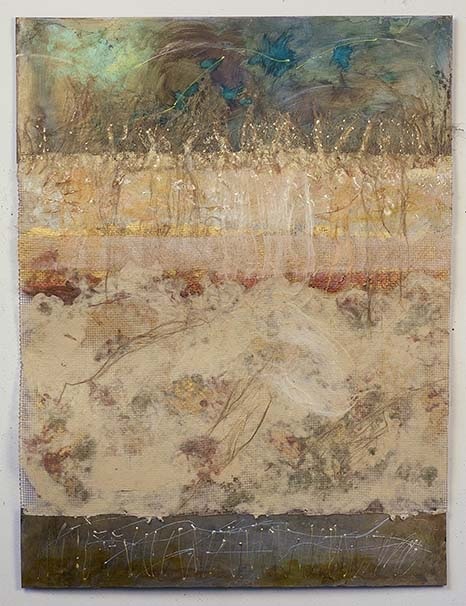 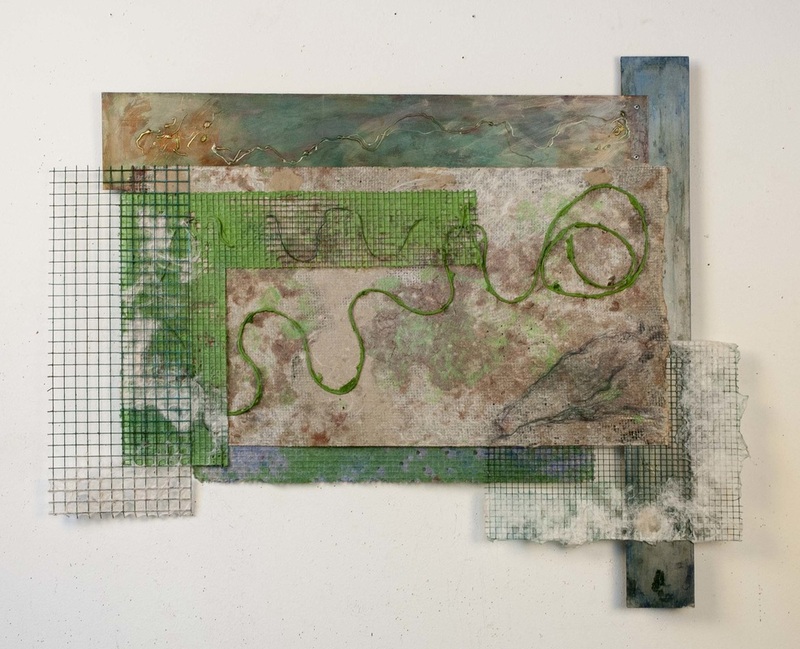 Forest Series Sprayed handmade paper pulp, silk fibers, acrylic on bronze screening. 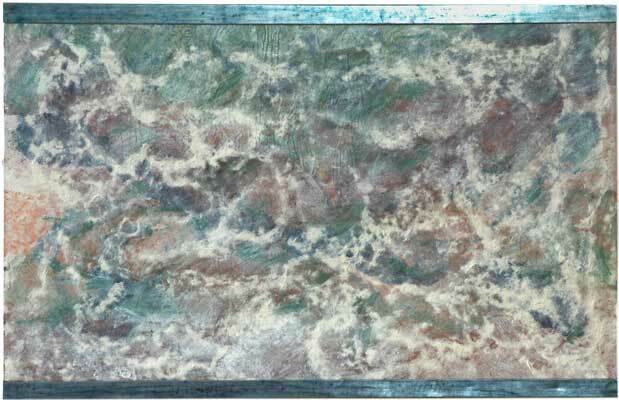 Copper bars. 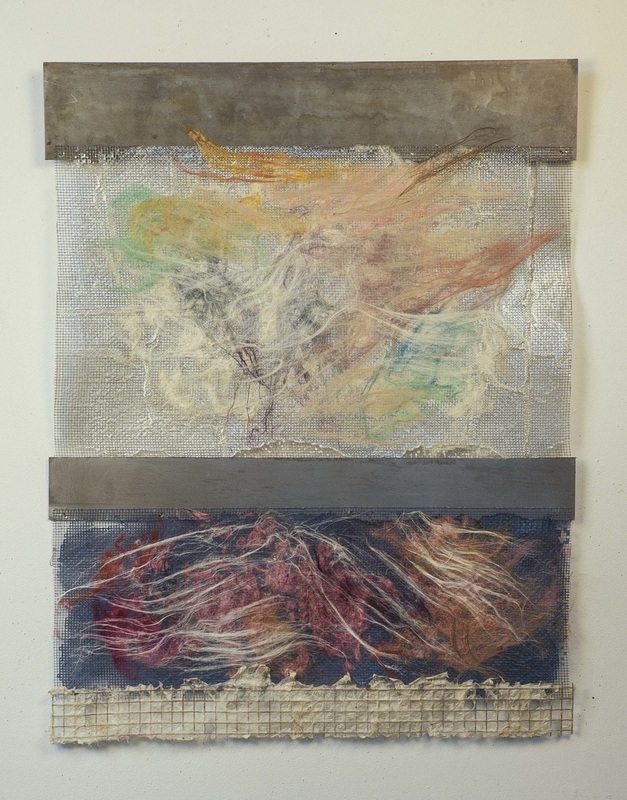 Map Series I 32"x41" Map Series II 24"x33" Map Series III 24"x33"
Sprayed handmade paper pulp, silk and flax fibers, and acrylic on bronze sceening with copper bars, top and bottom. 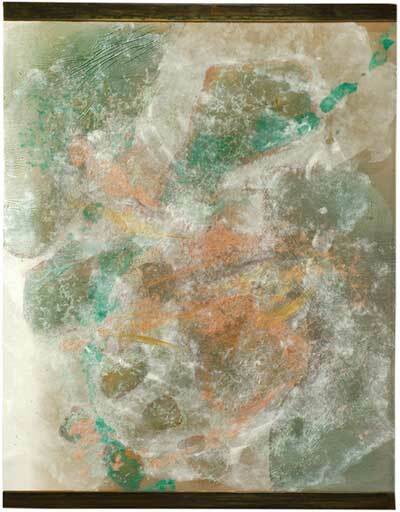 Map Series IV 48"x31" Map Series V 48"x31"